Resurrection Sunday is among the most joyous celebrations in the life of the church. On this day we celebrate that Christ has risen from the dead and in so doing he has defeated sin, death, and Hell forever. In rising from the grave Jesus confirmed that he was indeed the Messiah, the king of creation, and the Savior of the world. Our greatest hope in life and in death is that Christ is risen and we will one day rise with him. 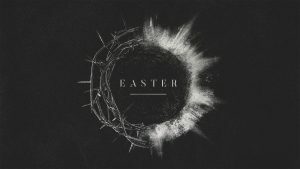 We will celebrate Easter with a worship service at 11:00am on Sunday, April 21st.